The Liar Princess and the Blind Prince subverts the most common fairy tale trope of all; the idea that the prince is a dashing hero, and the princess is a damsel in distress or, alternatively, a tool for the male characters in the narrative to use. Here, a young and naive prince is accidentally blinded by a female wolf who, on feeling pity for the prince's condition, asks a witch to disguise her as a sweet and innocent princess. Now, in the form that the prince can trust (by intuition, given that he can't see her), the two set out on a journey through a dangerous forest to get the prince's sight back. Of course, the prince can't defend himself in the forest. Nor is he brave enough to stumble around in (his) dark. So the "princess" needs to alternate between human form, where the prince will allow her to hold his hand to guide him through the forest, and wolf form, where she's an unstoppable horror that kills anything threatening the two of them. Alternating between the two forms to solve puzzles comprises the bulk of Liar Princess' game, but - and pardon the pun here - this game has teeth. Just as A Rose in the Twilight managed to shock and awe players through its willingness to brutalise a protagonist that it also worked so hard to make us love, so too is the Liar Princess more than happy to do everything it can to build up the relationship between the two protagonists, just so it can rip at our heart strings every time one of them perishes sickeningly. Just about everything is deadly to the pair - from falls from great heights to traps, and then on to the monsters, and you will see one of the other die with infuriating regularity. Some of the deaths will be all the more frustrating because they won't really be your fault. Far too often The Liar Princess asks for fast reactions and pixel-perfect platforming, and that's downright unfair for a game in which the protagonists move fairly sluggishly, and between the two of them, there's a wide distance to transport safely. Or to put it another way; when you need to leap onto tiny platforms, it's that much harder to do when you're controlling two characters awkwardly holding hands than it is when there just one hero to get across the death-gap. 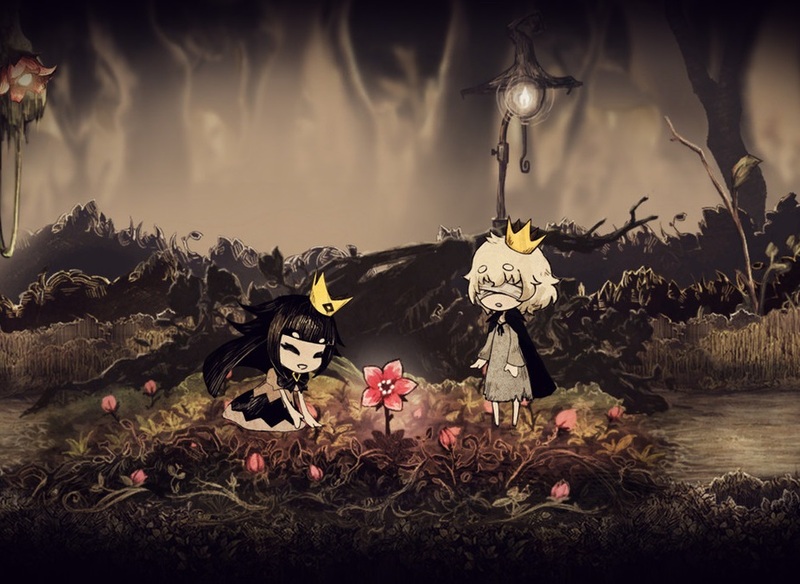 All of NIS's puzzle platformers are difficult to the point of being unforgiving, but The Liar Princess, unlike A Rose in the Twilight or The Firefly Diary, feels a little lazier in that difficulty, falling back on classic "hard platforming" tropes that do not fit with the rest of the style of game. Still, when it's on song, The Liar Princess' puzzles are impeccable. They're designed in such a way that the solution to them never seems like it should be too complex, but there's often something in the logic that flips things around and requires you to think about things in a different way. Added to this, the fact that you need to be on the constant lookout for the hapless prince adds another layer of tension to the action; I always dreaded leaving him to go solve some puzzle that called for us to be separate, but he did have a habit of dying off-screen. 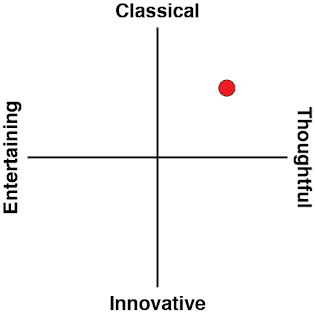 Equally impressively is how tightly the action and storytelling are woven together. NIS has been willing to allow environmental design to come at the expense of playability, to an extent; the camera is so closely zoomed in that you'll often wish you had a slightly better view of the world. Additionally, the game regularly makes use of foreground objects to obscure parts of the level itself. 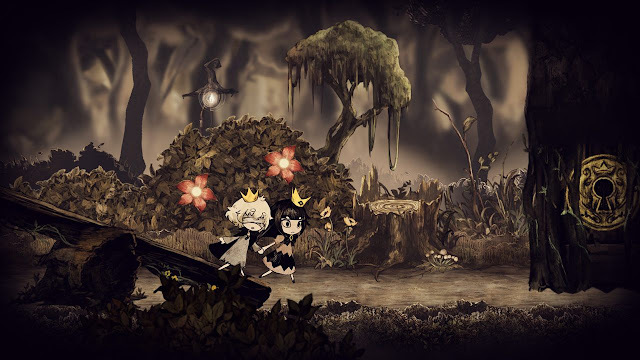 The game's been designed so well that rarely will this lead to meaningful complications in playing Liar Princess, and comes with a major benefit: the intimacy of the closed-in perspective, and the claustrophobia of the world that has the background and foreground an integral part of the experience, come together so perfectly with the music and setting to really drive home the unsettling melancholia that is at the heart of The Liar Princess. As you play, there's also a great sense of foreboding. Because so much of The Liar Princess either participates in the Grimm tradition, where things tend to go very badly for people, or it subverts it so that the bad things happen to the people that don't normally have bad things happen to them in Grimm tales, it's hard to shake the feeling, right from the outset, that this sweet little relationship between the guilt-wracked wolf and the prince isn't going to end well. This isn't a spoiler, mind you - I'm not saying anything about how the game actually ends, but right from the first few seconds I had an overwhelming sense of inevitability about what I'm doing. That sense of fatalism gives the the cute little interactions between the two characters a wholly different perspective. That's also how I knew I cared about these characters and was invested in their journey. The subtleties in the way the characters are animated and interact with one another carries an emotional weight that is every bit as impressive as something like Ico - which is surely every bit as much of an inspiration to this game as the Grimm stories. 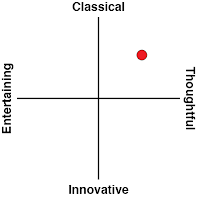 Because I cared about the characters so much I didn't mind the occasionally frustrating death, nor the rare moment where the game simply didn't play the way I wanted it to. 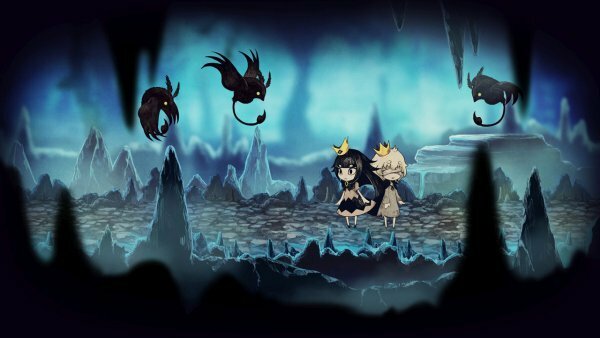 At only about seven hours in length, and with minimal optional collectibles and side distractions, there's one other thing I loved about The Liar Princess and the Blind Prince; it understands its limits and doesn't pad itself out. Intense, creative from start to finish, and paced beautifully, The Liar Princess and the Blind Prince is yet another feather in the NIS cap. This developer/ publisher understands the Grimm aesthetic and structure better than anyone else out there.